The lineup has begun being announced for the upcoming Woodstock 50th Anniversary Festival. The event will celebrate the history of the Woodstock music festival, being coordinated by one of the founders of the original Woodstock, Michael Lang. The goal of the festival will be to recreate the magic of the first Woodstock festivals, where some of the most iconic moments in music history happened. Taking place this upcoming August, the event has begun to attract the attention of music fans around the world. 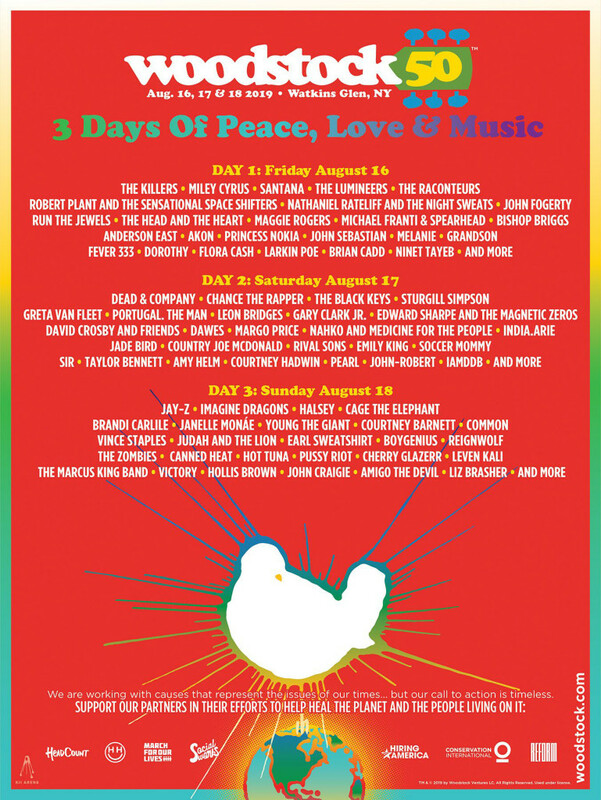 Now acts have been confirmed as performers for Woodstock, including some of the most famous musicians around the world. The confirmed performers include rapper Jay-Z, the band The Black Keys and singer Halsey. Jay-Z is one of the most well-known rappers in the world, with a career spanning over 25 years making hip-hop music. Most recently, Jay-Z released a joint album in 2018 with his wife, world renowned singer, Beyoncé. The project, titled EVERYTHING IS LOVE, saw the two working through their relationship issues and overall putting on a fantastic performance for fans of both musicians. There’s no way of knowing what Jay-Z will perform at Woodstock, with dozens of hit songs in the rappers discography, but fans of hip-hop music should be sure to make time to see his performance. 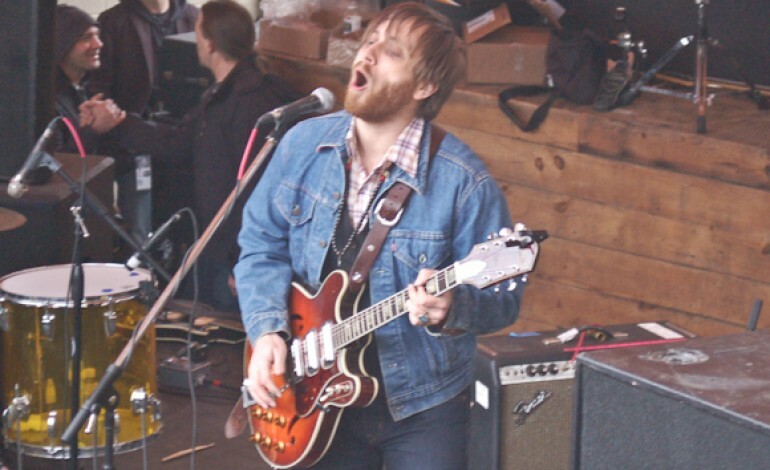 The Black Keys are another act confirmed for the festival, one of the most well-known rock bands of the past decade. Breaking through with two incredibly popular albums in 2010 and 2011, the group made a name for themselves with the songs “Lonely Boy” and “Howlin’ For You.” Since then the group has maintained their status as one of the biggest bands of the 2010s. The group’s most recent full length project, 2014’s Turn Blue, was just as well received as the group’s previous records and featured the hit song “Fever.” Anybody who enjoys The Black Keys music will be happy to see their name added to the lineup. Woodstock has also announced that singer Halsey will be performing at the upcoming festival. Halsey is coming off of one of the biggest years of her career, with the songs “Without Me” and “Eastside” taking over the airwaves in 2018. Now fans of the singer can see her at one of the biggest music festivals of the year. Originally gaining fame for her songs “New Americana” and “Gasoline,” Halsey quickly gained a global fan base over the past few years. Woodstock is set to draw around 75,000 attendees as of now, making it one of the biggest events of the year as far as music festivals go and one of the biggest events of Halsey’s year as well. Fans of her music should be sure to see her set at the festival. Woodstock has now released the full lineup for the festival this upcoming August. Some of the bigger names added to the festival include Chance the Rapper, Miley Cyrus and The Killers. Along with the full list of performers, the updated event flyer details which acts will be performing each day. With a packed lineup of artists, Woodstock has an incredible three days planned. Another major group set to perform is Dead & Company; a collaboration between members of The Grateful Dead and other performers, including singer John Mayer. The full festival flyer can be found below.